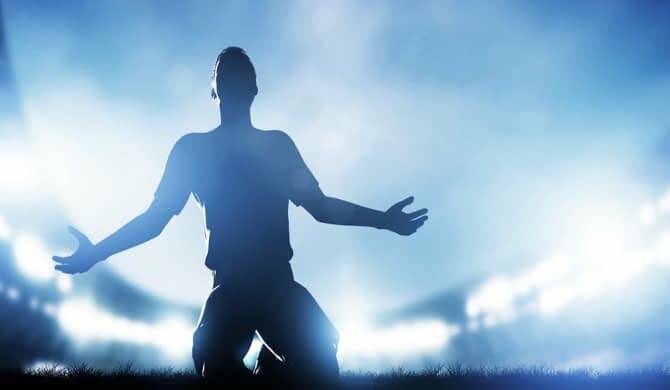 Welcome to our Chloe's Football Focus review, a football tipping service available on the Betting Gods platform. We've been following the Chloe's Football Focus service over the past five months and despite an improvement in results more recently, we haven't managed to finish our review with a profit overall. We have finished with a small loss of 4.74 points which works out as a 3.2% decrease to our betting bank. Our review got off to a bad start with 37.74 points lost in month one but Chloe was able to recover the loss fairly quickly during the months following. The profit made in the last four months adds up to 33 points. Overall our experience of the service has been positive and it seems we were unfortunate to have started our review during a poor month caused by several losing selections advised at higher stakes. The tipster showed skill and confidence being able to recover quickly from that and we found the service to be professional throughout our trial. Based on the results during our review we are awarding a neutral rating but we feel that the service is certainly one to keep an eye on. It's been another really good month for Chloe's Football Focus with the second month in a row with a profit reaching in excess of 20 points. Our bank is now back into profit slightly after a tough start to our review, so things are really starting to look up. We feel it's worth continuing to follow the service for another month or two to see if Chloe can keep up these fantastic results. We'll be back in a month's time with our next update. It's been a great month for Chloe's Football Focus with a profit of 23.18 points at the available odds, which has helped recover some of the loss from the previous two months. Our starting bank is now down by 13.3% overall, which is a much better position than we were in last month. We are going to carry on with our review for a further month to see whether we can get back into a profitable position. It's been another tough month for Chloe's Football Focus with a further loss of 5.33 points, which brings our total loss up to 43.07 points. The service has failed to impress us so far, so hopefully we will see an improvement in month three. We'll be back with another update next month. It's been a poor start to our Chloe's Football Focus review with a total loss of 37.74 points in the first month and a 25.2% reduction to our starting bank of 150 points. As the stakes are advised between 1-10 points, it can mean taking a big hit when a higher stake bet loses and that partly explains the big loss this month. Right off the bat, the first tip we received lost us 10 points in one go and there were 8 and 9 point bets that lost later in the month too. We hope to see a better set of results in our next update which will be in a month's time. Chloe's Football Focus is currently the Betting God's most successful football tips service. Since launching in August 2017, the service has reportedly made a profit of £5,097.33 to £10 per point stakes at an impressive ROI of 34.8%. Chloe is said to have spent years perfecting her craft in football tipping, specialising in the popular over/under goals and match result markets. She takes a disciplined and selective approach with just 1 or 2 bets each morning, which we are glad to hear. She reported some great results last month with some notable winning bets on the World Cup, including a top tip on South Korea to win or draw against Germany banking a profit of £82. She finished June with a total profit of £411. The odds of the tips have averaged at 4.50 overall, so we can expect to see many bets on underdogs at value prices rather than odds-on favourites. The stakes are advised between 1 and 10 points and we assume the higher stakes must be based on the confidence of the bet or the amount of value, as they don't seem to relate to the odds. A starting bank of 150 points has been advised, which should hopefully be enough to handle the inevitable ups and downs associated with betting at higher odds. The tips are to be sent out via email at around 10-11am each day, or they can be accessed via the Betting Gods app or the member's area. July looks to be off to a good start so hopefully we will see a continuation of this into the first month of our review. We will be back in a month's time with our first update of results.